The part of Macedonia known as Mala Prespa was given to Albania by the Treaty of Versailles in 1919. This treaty finalized the partition of Macedonia between Serbia, Greece, Bulgaria and Albania and began the era of denationalization and forced assimilation of the Macedonian people. Today, the Macedonians in Albania have limited freedom and human rights in compartment to the Macedonians in Greece and Bulgaria. However, there are still numerous human rights violations in Mala Prespa. European and other international sources, owing to Albania's isolation during the regime of Enver Hoxha, indirectly estimated that there were 30,000-50,000 Macedonians living in this country. However, the real number of ethnic Macedonians in Albania is estimated as exceeding 200,000. Their greatest concentration is in the border regions of Golo Brdo and Mala Prespa. There are also a large number of Macedonians who live in Tirana (about 20,000), Pogradec, Korce, Kavaje, and Elbasan. 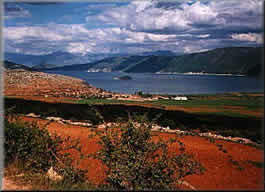 Albania is the only neighbouring country which recognizes the status of the Macedonian ethnic minority, but restricts it to the region of Mala Prespa. There has been instruction in this region since 1945 in elementary education up to the fifth form, for which textbooks have been issued by the state. It is expected that the right to instruction in their mother tongue, according to international standards, will also be extended to pupils of Macedonian ethnic affiliation in the other parts of Albania. The introduction of instruction in Macedonian in secondary education is also expected. Albania must respect the cooperation agreements in the field of education signed four years ago. There are several organized and active associations of Macedonians in Albania, but the opportunities for political activity are small because the state does not financially support their organization. It was as late as 1993 that the first periodical in Macedonian, the journal Mir (Peace), appeared. Albanian Radio and Television still do not broadcast programs in Macedonian. The position of ethnic Macedonians in Albania is far from that of ethnic Albanians in Macedonia. While in Macedonia ethnic Albanians appear as Representatives in Assembly and their major party is a Government coalition partner, the Macedonians in Albania still have no opportunities for genuine political participation. At present, there are no ethnic Macedonian Members of Parliament, nor are Macedonians represented in the institutions of state authority and local self government. When dealing with the question of the status and position of ethnic Albanians in Macedonia and those of ethnic Macedonians in Albania, Macedonia has never insisted on reciprocity as it considers the rights of the Albanian minority as one of the key factors of its democracy. But everyone must understand that Tirana cannot indefinitely demand the impossible from Macedonia while the rights of ethnic Macedonians in Albania remain below the most elementary level. A census carried out with the participation of European and international institutions is expected, which will present the true ethnic composition of the population in this country. 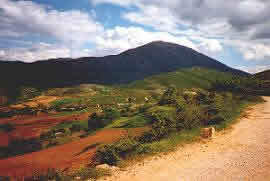 In March 1996, the organization for the protection of the rights of Macedonians in Albania, "Prespa", sent an open letter to president Sali Berisha, stating that "it is time for us too to have our own representatives in the Albanian Parliament and Government, and to be granted rights to study and cherish our language, culture, and tradition". As far as the number of ethnic Macedonians in Albania is concerned, it will be known "as soon as a population census is carried out according to European and world standards".